At the Web Summit held in Dublin Ireland in November 2014, participants were asked to name the three big trends going forward in Tech. The Web Summit is one of the most influential and most prominent gatherings in Tech that attracts the best startups and most influential players in the industry. Enterprise, Internet of Things and payments emerged top. (I would have gone for Mobile, information Security or 3D printing and Cloud). At the MWC in Barcelona, Blackberry announced plans to integrate bring its core services of communication, productivity and security. This involves integration of its services such as enterprise BBM, BES 12 software services, and Blackberry Blend service available for all mobile platforms. John Chen, CEO of Blackberry, continues with his plans at returning the firm to profitability with a sharp focus on Enterprise clients. Blackberry entered into a partnership with Amazon to provide mobile applications and allow for the development of ENTERPRISE applications for most of the clients. This followed with the launch of two devices aimed primarily at the Enterprise market, The Blackberry Classic and the Blackberry Passport. In addition, Blackberry signed deals with Samsung aimed at providing security to the Knox service provided by Samsung for its enterprise clients. 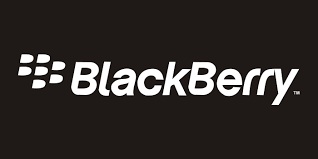 The Blackberry event continues and Techweez has you covered.